coffee beans that meet Black Hole’s exacting standards. sourced, organic, fair-trade beans to create exceptional single bean and blended coffees. After being subjected to Big Bend’s fastidious roasting procedures, the beans undergo Black Hole’s unique 24-hour brewing process. This intensive, double-filtration technique utilizes only the finest, precision ground beans to produce each batch of coffee and coffee concentrate. Our high standards and longer brewing times reduce the coffee beans’ natural acidity, which results in a smoother, more full-bodied cup of coffee. 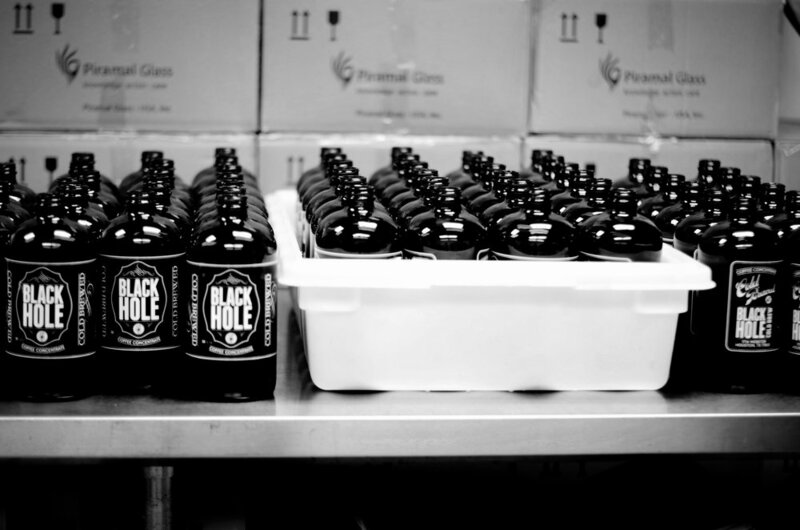 Black Hole Cold Brew began as an exclusive, boutique product only available at select Houston food and drink establishments. However, a successful word of mouth campaign resulted in rapid growth in consumer demand and pushed our products into a wider distribution network. thing well than do many things poorly.